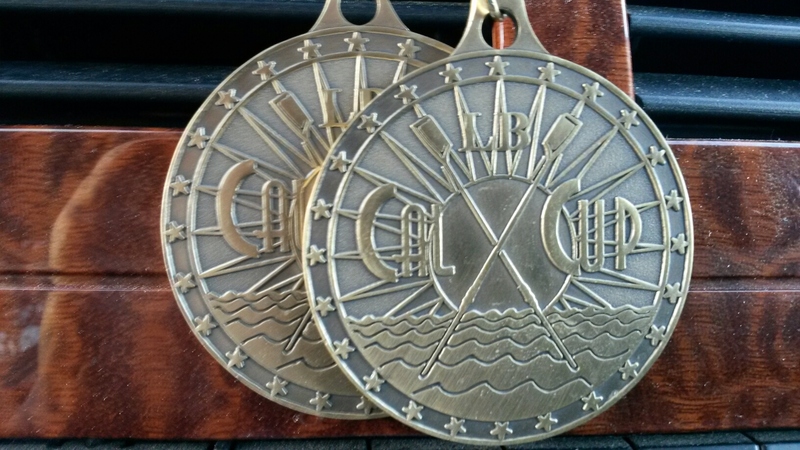 On Saturday, March 15, Chaminade senior and UCLA rowing commit, Alexandra Rusbarsky ’14, won two Gold Medals at the Long Beach California Cup Regatta and led her team to victory as stroke seat, taking 1st place in the women’s four and the women’s 8. The team won the Southern California Cup Trophy. The races took place at Marine Stadium, in Long Beach, California, where the 1932 Summer Olympic Rowing competitions were held. This entry was posted in Athletics, High School by Chaminade News. Bookmark the permalink.